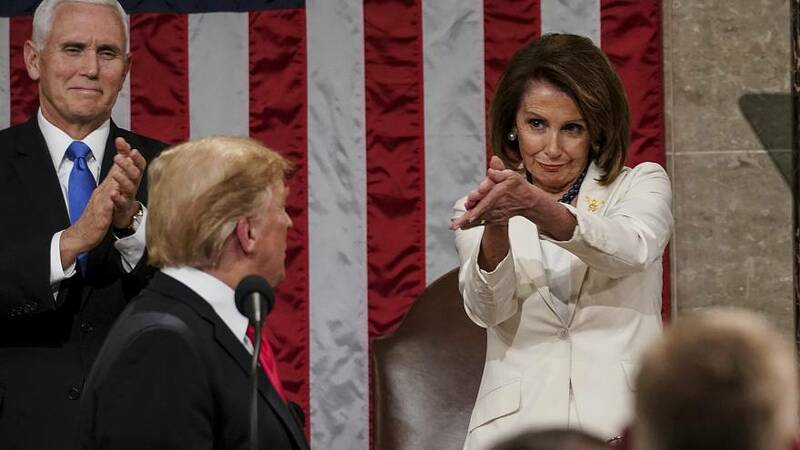 When Donald Trump asked Congress to reject "revenge, resistance and retribution" in favour of "cooperation, compromise and the common good", Nancy Pelosi's response was a lesson in transparent non-verbal communication. The pair has become the symbol of the divide inside American politics since Pelosi became speaker of the House of Representatives following her Democratic Party's success in mid-term elections. The pair most notably faced off over funding for Trump's southern wall, sparking the longest government shutdown in US history that ended with a climb-down from the president.